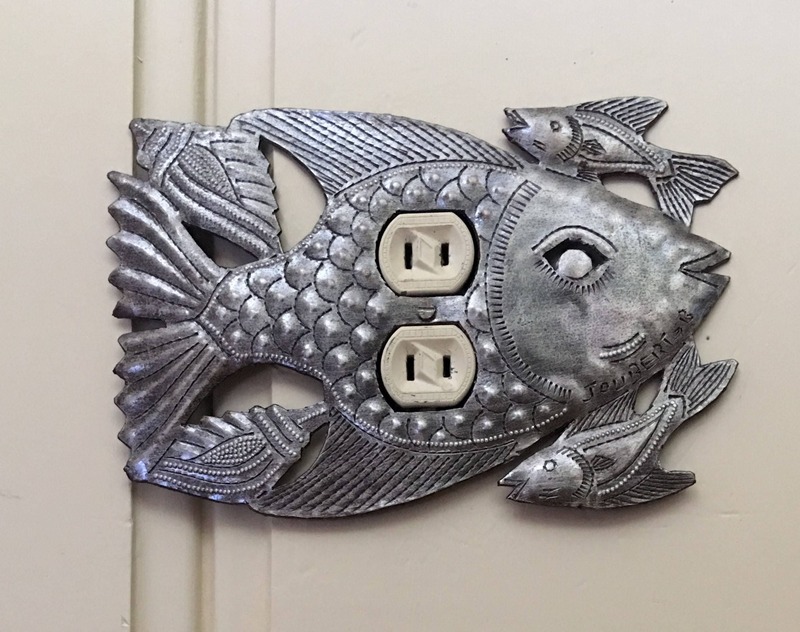 Lighting, Recycled Metal Rocker Switch Plate Cover in Fish Design From Haiti 9" x 6"
A clever fish design to make a ho-hum rocker cover a little more lively and fun! 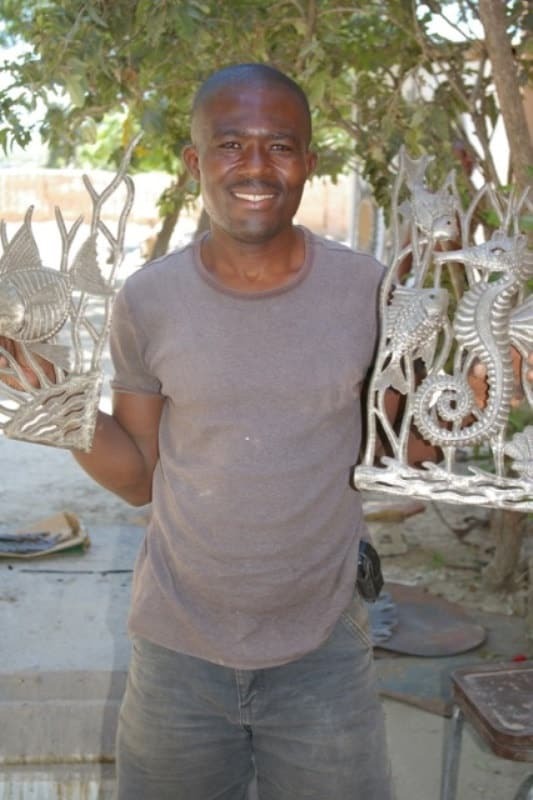 Made from recycled metal, each piece is individually crafted by an artist who benefits directly from the practices of fair trade. This piece is hand cut from recycled 50 gallon steel drums. 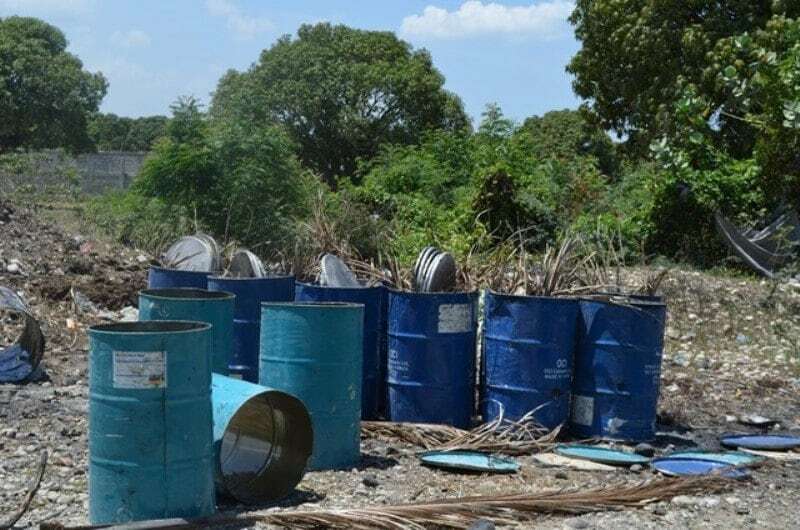 Both ends of the drum are removed and placed inside of the remaining cylinder along with scrap paper, dried banana or sugar cane leaves. It is set on fire, to burn off any paint or residue. When cooled, the drum is cut down the side and flattened out to create a "metal canvas" of approximately 6.5' x 9.5', upon which the design is drawn. 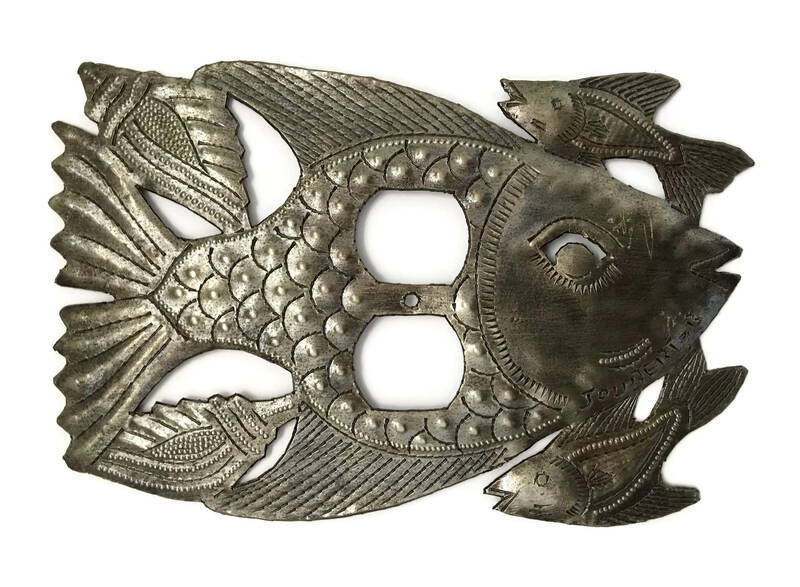 Using hammer, chisel and various primitive tools, the shape is cut and the various decorative patterns are pounded into the metal, creating a unique and treasured piece of primitive art. The finished design is coated with a protective finish. Can be hung indoors or outdoors. Gorgeous...detail is lovely..very well made...people love the whimsey of them...and they add an unusual dimension to the walls.. Very beautiful, and great artisanship! Beautiful! just as pictured. quality. Recommended.